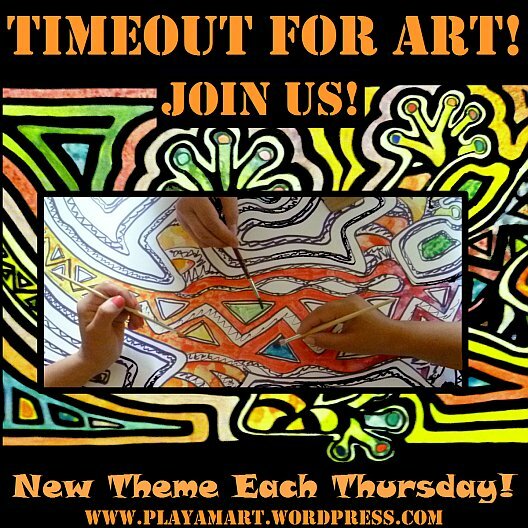 Timeout for Nature – and for Art! The Ospreys were calling! How could I ignore their distinct aerial cries? A decision awaited – continue dicing the onion or dash to the window? Trading knife for camera, I dashed to the window! Not one but THREE Ospreys patrolled the airspace just past the treetops! The magnificent brown and white raptors careened and spiraled on unseen currents of air. A sleek streamlined Frigate joined them, then another. I gazed toward my abandoned work, and an Osprey screeched again! One raptor landed in a tree by the water. Snail Kite or Osprey? It was time for stealth mode. My field bag, still packed from yesterday’s outing, contained everything I needed – except for paint brushes, overlooked the day before. Adding a bottle of guayusa tea and a handful of fiber-rich crackers, I headed to the rain-soaked outdoors! The landscape transformed almost overnight after the life-giving rains returned. Some days the gentle rains stay all day; sometimes the rain falls hard during the night, and the mornings begin with a lazy residual drizzle. Rejoicing a month ahead of last-years weather calendar, birds are molting and nesting and chattering throughout the day – and sometimes the night! After confirming the Osprey, I settled into yesterday’s bird-watching location and turned my attention to a nearby Common Tody Flycatcher’s nest. (A second day of reference photos will ensure a successful watercolor study.) Selecting a nearby tree trunk as an easy model for drawing, I propped my stool against a twisted guava tree, leaned back and sketched while watching the cast of birds. There’s so much here; can you spot the wispy nest of the flycatcher? Sun evaporates watercolor washes as fast as they’re painted; sweaty arms affect the paper. The sun turns to clouds, the clouds to mist, and mist to sprinkles. The approaching roar of incoming rain usually gives a three-minute warning. With no obvious wind, it sometimes seems to come from nowhere, and sometimes it vanishes as quickly as it appeared. If I’m painting there’s the decision to stop and protect the work – or ignore the approaching rain (gamble) and keep working! The greatest challenge, however, is to remain focused on my work when immersed in wrap-around nature! This happened yesterday: “What bird just zoomed past? A hummingbird – but what WAS that bird? Not one I’ve seen before!” Not moving my torso, I slowly reached for the camera, turned it to my left and snapped several shots in the direction of the perpetual-moving machine. Si? No? I’d check later, as the bird vanished as fast as it appeared. For the next few hours, the petite Tody Flycatchers performed nest-building gymnastics while I juggled sketching and birdwatching. Using dried leaves, they wind and stitch the pendulous nest with delicate threads of spider silk. Pacific Horneros worked on their oven-shaped nests. Snail Kites landed nearby to feast on a just-snatched snail from the water hyacinths below. A rich-chocolate female Seedeater foraged along a vine-draped tree trunk. Two Pacific Horneros worked on their unique oven-shaped nest, while honey bees and butterflies inspected a vivid splash of yellow wildflowers. Twice my attention veered to the distinct KERSPLASH in the water behind me, and twice I twisted to confirm — Osprey! I realize now why my studio-gallery at Casa Loca worked so well; with no windows, I could work all day and/or all night, and never be distracted. At this new location, my greatest challenge – or perhaps it’s a gift – is deciding which interest to pursue. Perhaps that strange little insect can teach me how to observe the perimeters of my visual circle while paying attention to what’s close at hand! I’d be distracted, too, Lisa! What wonderful things to see and there’s nothing common about those birds! A most happy and blessed 2019 to you and yours. Thank you, and thank you for your continued support – even when I am silent! You’ve had a very full year, juggling work and family matters – and still you produce so many great images and share them with us! Happy New Year! It has been a full year, that’s for sure, but a good one. I enjoy keeping up with you and I hope that you have a wonderful 2019 as well. I have always been mesmerized by the effects of light on water – the two pics of the Osprey just above the water are stunning! I saved one image taken yesterday of a heron that you will surely like.. now i’ll think of you when i work on images of birds/reflections on water! Love all of your photos and related stories! Yes, I am very lucky, but you also have a lovely retreat where you have your own immersion in nature… it’s surely a tonic – not only on bad days but also on good ones — to make it even better! Happy new year to both of you! I’m certainly not going to berate you for trading the chopping of the veggies for this beautiful cast of characters! Ha! I went down there yesterday around 11 for a few hours.. at 4-something the strong winds picked up — ‘Earth to Lisa – storm is approaching!” and I scampered home just ahead of the rains! Happy new year to you and your sweet family – and all of those wonderful birds and animals you share with us! Your drawing, your photos, your writing. Wonderful! And Happy New Year to you and yours. Dear Don! Thank you, and thank you for sharing such great stories, especially the ones about your recent year. May 2019 have sunshine and great experiences for you and your loved ones! Thank you for your kind words and wishes. May this year bring happiness and more great blog posts. I never would have recognized the flycatcher nest as a nest. It’s so intricate! The wind tried to blow it to Argentina yesterday! Rains were right behind the unexpected wind, so I grabbed my things and went to the house.. It rained today so i’ve not checked on the birds today. Happy new year Emilie, and thank you so much for your continued and genuine support! Distractions and attractions all around but all rich and beautiful at the moment. May they continue to be so throughout 2019. Thank you, and may your 2019 be a good one. I still have your Christmas ‘quiet’ post on the screen! Awww….. and I am not letting go of Christmas yet. Some traditions permit celebrations until Candlemas, so I am going to join in the spirit of an extended Christmas (without the excess food consumption!). What an amazing world to wrap around yourself. It’s a wonder you ever get anything done. My place isn’t half so distracting yet I find concentration hard. I can feel the joy it gives you, Lisa. Long may you continue to embrace it. 🙂 🙂 Happy 2019! Ah, but you have an amazing world as well – or perhaps some of us will embrace whatever we have and find beauty|? Happy new year to you, and enjoy exploring what’s around each bend in the road/trail! Happy New Year, Lisa! This inspiring post makes me want to get busy, too! Cindy! Thanks, and I hope that you’ve kicked that cold into last year! Happy New Year and hope for lots of great art in your world! Beautifully done — and said. We should all take time out for nature and art!! Same to you as well! Hope all’s fine there…. Happy New Year to you too, Lisa. The “problems” of your new place are wonderful. (I love the Tody Flycatchers on their nest). Your descriptions bring back happy times I’ve spent in tropical locations – the instant rain, so many moving targets vying for attention….and it’s fun to see familiar faces too – that’s a Monarch butterfly, right? And the osprey is an old friend. Remember the days when DTT decimated them in the states? We were thrilled to discover an osprey nest on a Georgia coast island back in the early 60’s, but as the decades went by, they became more and more common everywhere I’ve lived. They’re here in the Pacific northwest, right over in the bay just minutes from home, and they’re back east too, of course. Here’s to many sightings, many artistic projects, and a fortunate New Year. Ah, Amiga! Thank you for such a thoughtful comment! The painting is going well, though winds ran me (prompted/warned) me yesterday.. after dark |I worked til midnight. Cyber’s about to close, so until next time online! What a wonderful post and photos! Happy New Year. Thak you so much; happy new year to you as well! Thank you Sue! Yes, it’s hard to break away from those art breaks, and luckily I’m getting lots of opportunities for new studies. Happy new year to you as well! How’s the weather there? Hope you have a good and healthy 2019. I really enjoy the blog.. Thank you, Fletcher! Hope all’s ok in Mississippi! I hear that the river’s high – yikes! I think you live in a natural Wonderland. It feels full of peace. Happy new Year Lisa. May 2019 be all you could wish for. Your comment brought a smile to my vace! Thank you, and yes, it’s very peaceful – as long as the chain saws aren’t humming! May 2019 bring you great moments and of course new tales to share with us! This really amused me: “The approaching roar of incoming rain usually gives a three-minute warning… If I’m painting there’s the decision to stop and protect the work – or ignore the approaching rain (gamble) and keep working!” In my case, if a front’s approaching and the wind suddenly lays, I have an hour. If the sea-fog’s blowing and the wind doesn’t lay, it’s all good. If the wind stops, my work’s ruined. And so on. Learning to read the signs is so important — and aren’t we happy when we’re right? Here’s to a new year of successful sign-reading and productive work. It’s always a joy to see what you’re up to, and who’s keeping you company in your (mostly) idyllic world. Thank you for your own weather-working reports! Thank you Ruth, and I hope that the winter there is not too harsh. May 2019 smile on you! Thank you. Winter has been like Spring, confusing the trees and plants but after a late afternoon thunderstorm today we’re going down to freezing temps. Like a true Pittsburgh January. Thanks for the good wishes for 2019. Fortunately our kitchen window is right above the sink. Spotting nature is easier. To actually see a kite ‘sitting’ still is totally amazing Lisa. We see them in flight often circling around and close to us usually in twos. They are hunting like the hawks and other birds of prey seen locally. Always fabulous photos and articles!!! Welcome to 2019! Those kites are very noisy as well, and the juveniles look much like the ospreys. The Snail Kites eat almost nothing except for snails, which are quite large and forage on the water hyacinth. I hope that your 2019 is a great one; thanks, as always! You raise distraction to an art. Thank you! The difficult part is to keep painting or stop and look at the side shows – often more interesting than painting the details. Next to the onions I saw what appear to be Brussels sprouts. How strange, I thought, for those to be in Ecuador. Then I realized it was no more strange than for them to have found their way from Belgium (presumably) to the United States. So many of our common foods originated elsewhere. Hi Steve! Forgive me for being so late in answering your comment. |Yes, those are Brussels sprouts, called Col de/del Bruselas, I think. I’m using the public wifi outside of the grocery where |I buy them, so will check the spelling/name if they are in stock today. The company grows them in the Andes. Will give an update when \i know more! \Perhaps it won’t take so long!